We do not offer refunds for gifts that are shipped and delivered to the recipient without any damage. If you have received something that was out of date, broken or damaged, please contact our customer service team on 1300 354 393, and we will be sure to replace those items for you. If you do wish to swap an item we would be happy to send you another item once we have received the original item back at our warehouse in its original unopened condition. Any additional costs for the replacement item such as delivery, or any difference in prices, would need to be paid for prior to shipping. The cost of returning the Product by post is at your expense, unless faulty. Returns must be sent by you at your cost using a trackable or signed-for delivery service, such as registered post. A request for a refund can be made for a gift that has not yet shipped up to a maximum of 90 days from order. No refunds will be payable after this time. Gourmet Basket will evaluate your return request and send you full return instructions and return address. The postage cost for the return will be borne by you except where Gourmet Basket subsequently deems the returned Product faulty, not of merchantable quality, not fit for its intended purpose or that it does not match the description on the Site in which case Gourmet Basket will refund the postage cost to you. Please be aware that it is your responsibility to ensure that your returned item reaches us safely. Gourmet Basket are not liable for the loss or damage of return items in transit. Please use a traceable delivery method and keep a record of your tracking number. 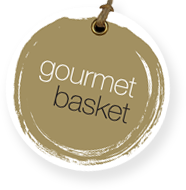 Gourmet Basket will email you to confirm when a return has been received by us.